This will be a challenge for me & bring with it a lot of dedication to my blog - much more so than normal. With the everyday other pressures of life, I often don't find the time to spend it creating content for my blog, so fingers crossed I can keep up with all the other fantastic bloggers taking part! 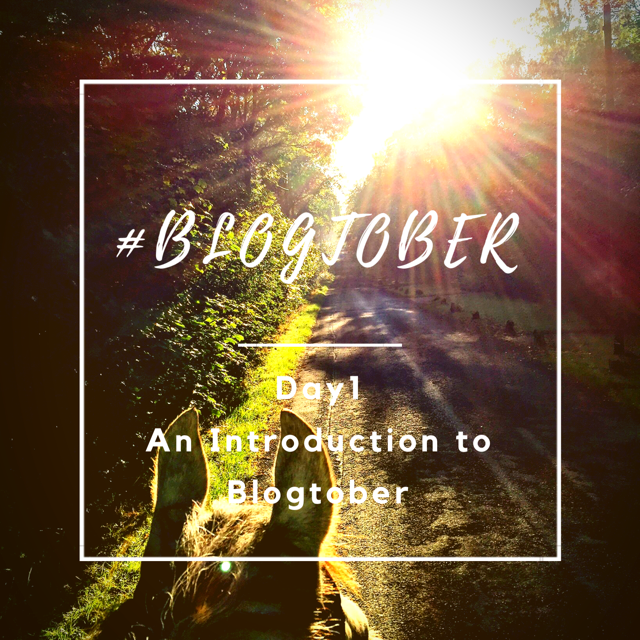 What does #Blogtober have coming up? I've decided to join in with the masses and blog on 31 pre-determined topics. 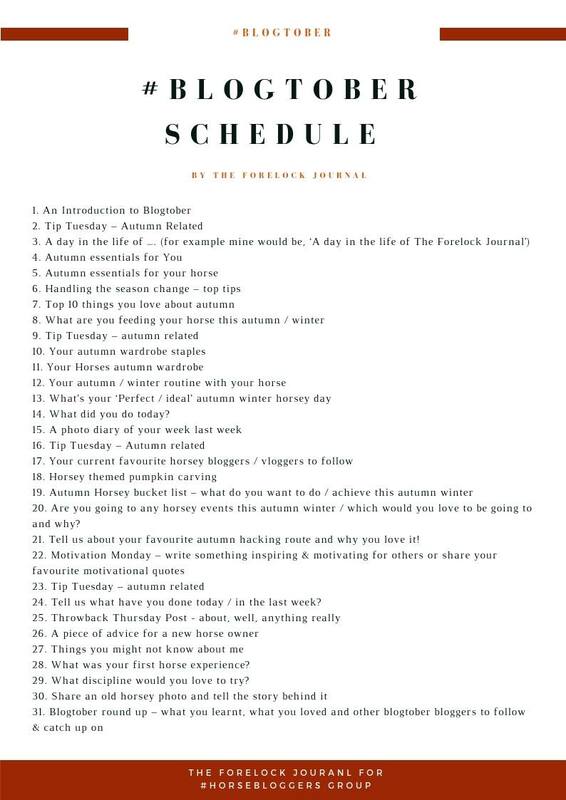 How can you read more content from bloggers during #Blogtober? Heather Wallace from Timid Rider has set up an equestrian blog hop to showcase all the bog posts from any blog WORDLDWIDE who is taking part & puts their content forward. Just take a look below at all the AMAZING bloggers who have some really great reads too! Sit back, relax & enjoy the celebration of Autumn through #Blogtober!